North or south, snow or sun? 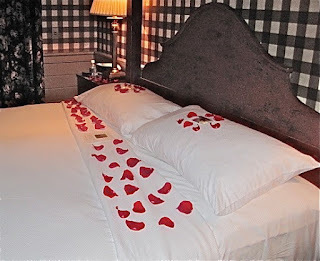 Whether you want to snuggle up to a cozy fireplace when the weather outside is frightful, or slip away for a stroll on a pink sand beach, there is a place for every type of romantic on Valentine’s Day. Mull over these romantic inspirations for your next amorous getaway. HIGHLANDS, NORTH CAROLINA: For an irresistible romantic getaway there is nothing like the magic of mountains in the winter. Old Edwards Inn, the meandering mountain resort that graces the scenic Southwestern Plateau of North Carolina’s Blue Ridge Mountains, has consistently been voted a top travel destination for its accommodations, its food, its spa and its relaxing, romantic atmosphere.The rose petals we found scattered on our bed can attest to that. For 30-minutes in the award-winning spa, you and your sweetie can embark on a journey of sensation with a Blue Ridge Rain Forest Couple’s Body Treatment. After applying aromatic body wash, cleansing scrubs and detoxifying mud in an exotic steam chamber, you will enter the Rainforest Rejuvenation Room that produces an intermittent steam and rain shower rinse with pulse-point water massage. 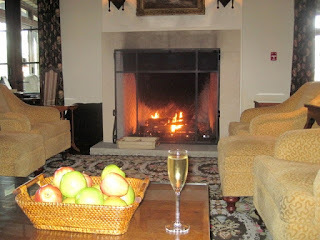 Then head to the spa’s lounge for a glass of bubbly before a blazing fire. 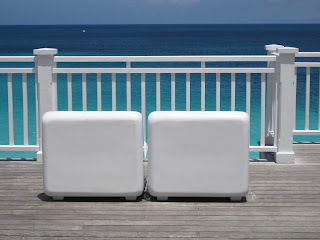 PARADISE ISLAND, BAHAMAS: Two bridges connect the frenzied city of Nassau (on the main island of New Providence) with a tranquil ribbon of white sand that is the location of The Ocean Club on the north shore of Paradise Island. Under the deep blue of an endless Bahamian sky, wrapped in the turquoise waters of an exuberant sea is the Ocean Club, once the private estate of Atlantic & Pacific Tea Company heir Huntington Hartford II. 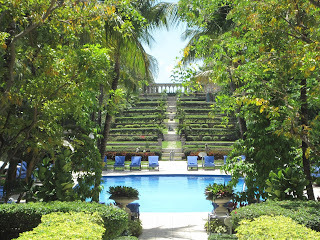 Today, this romantically alluring 105-room beachfront hideaway reflects the glamorous ambience of a posh grand colonial manor. Expansive manicured lawns and towering coconut palms provide an enchanting backdrop to the pristine beaches of The Ocean Club. A round of golf at the Ocean Club Golf Course should be followed by a restorative treatment in one of the Balinese-style spa villas in this idyllic setting where OO7’s “Casino Royale” was filmed. When day is done, head to the Martini Bar Lounge for a 007-style nightcap…shaken not stirred, of course. NEWPORT, RHODE ISLAND: This beautifully preserved walking-city with an architectural tapestry dating back to the 17th century is one of the most romantic cities on the East coast. Founded in 1639 by a group of dissidents seeking religious and political freedom, it pays homage to the past as it celebrates the present. Newport became a summer refuge for the nation’s elite. Their “summer cottages” were, in reality, the grandest of grand mansions that outdid one another. 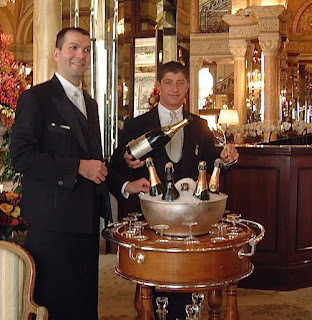 Newport’s mansions permit visitors to peek into the Gilded Age that was experienced at the dawn of the 20th century. 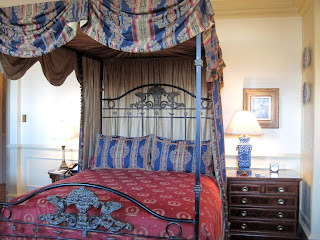 The Chanler at Cliff Walk, a romantic 20-room hotel housed in a 19th century mansion, is the quintessential romantic retreat into a world of timeless, tranquil elegance. 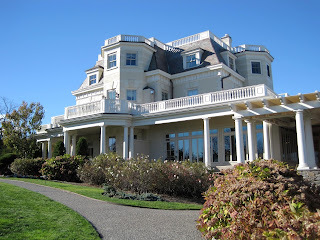 The Chanler is the only hotel located on Newport's dramatic 3.5 mile Cliff Walk. Stroll hand-in-hand through history on Newport’s famed Cliff Walk. Paved walkways and stone paths wind along the island’s southeastern edge, bordered on one side by the massive “summer cottages” of America’s turn-of-the-century elite and on the other by granite cliffs and pounding surf of the Atlantic. 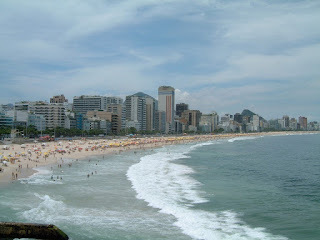 RIO DE JANEIRO, BRAZIL: Rio de Janeiro, Brazeeeeel. Like a sensual woman, the mere mention of her name connotes romance and excitement. You may have to travel a bit farther, but as winter storms pummel the north you will revel in a sun-filled stay in Brazil’s Cidade Maravilhosa (Marvelous City), unquestionably one of the most beautiful and romantic cities in the world. 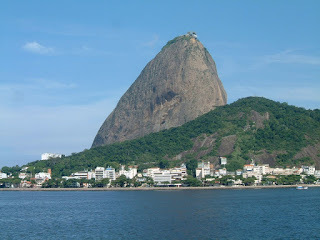 It is a city back-dropped by Corcovado (The `Hunchback), and Pao de Acucar (Sugar Loaf), the rocky mountain resembling a conical loaf of refined sugar. There is nothing more romantic than a handholding stroll along Rio’s Ipanema Beach, an umbrella-studded stage where fantasies come alive. Without even trying, women are transformed into the legendary “Girl from Ipanema”. Okay, okay! So they may have more wrinkles than that legendary girl, and they may not wear a “dental floss” bikini. But who’s going to argue with any woman of a certain age who is in love. JANET STEINBERG resides in Cincinnati but calls the world home. She is the winner of 47 national Travel Writing Awards.